Confession: I used to hoard eye creams. Throughout most of high school and college, I maintained a small bounty on my bathroom vanity—I’m talking no less than four at any given time. I knew it was exorbitant and actually kind of ridiculous, but I still scoured store shelves for the perfect formula. What can I say? I had waged a war on my naturally puffy eyes and dark circles long ago, and it was a battle I was determined to win. I’m still just as obsessed with eye cream, though I’ve cut my collection down to one: Laneige’s Water Bank Eye Gel ($36). It’s one of the only formulas I’ve found to be continuously affective at hydrating and plumping the delicate skin around my eyes. But now, thanks to InStyle, I have a new formula on my radar, one that’s so good Sephora struggles to keep it in stock. The numbers don’t lie; people are going crazy for this awakening, skin tightening, dark circle-reducing product. Keep scrolling to see which buzzy new eye gel I’ll be trying next! According to InStyle, this pick from Biossance is currently Sephora's top-selling eye cream...which is impressive, considering the sheer amount of eye creams that the retail giant carries. 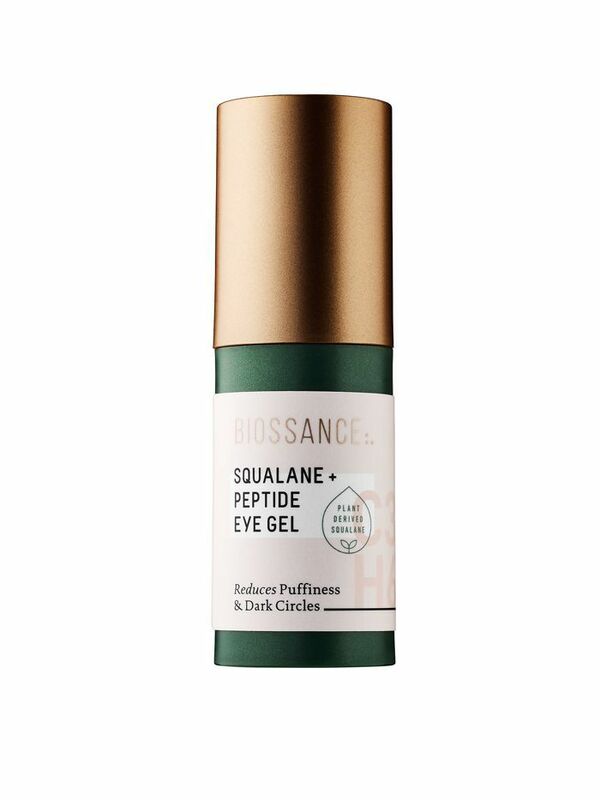 "As of right now, the Biossance Squalene and Peptide Eye Gel is the top-seller in the retailer's eye cream category, and last month at the Beauty Insider Appreciation event, the product sold out completely." It's popular, because it works. In tests, "96% of women said that dark circles under the eye area are visibly reduced," while "97% of women" said the same about puffiness. I don't know about you, but I'm clamoring to get my hands on this product based solely on those statistics alone. The effectiveness is due to a number of plant-derived ingredients. Squalane comes first. It's a compound that's chemically compatible with the skin's natural sebum. Take it from Biossance, "The human body produces its own version of squalane. But the amount you make and retain decreases over time—reaching peak levels in your teens and starting to decline in our 20’s, leaving our skin rough, dry and vulnerable." Applying it topically is a good way to bolster your natural skin health. Pair this ingredient with swiss apple stem cell, and Eyeseryl and Argireline (both of which support microcirculation and lymphatic drainage), and you've got a winning eye product. Head over to InStyle to read the full article. In the meantime, check out 10 skincare products that show instant results!